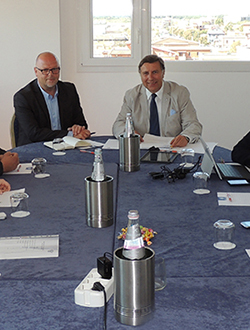 The FIM (Fédération Internationale de Motocyclisme) Europe has announced that its Strategic Plan Working Group (SPWG) has met in Italy with the aim of developing FIM Europe strategies for the next five/ten years. Part of those strategies appear to mention the road going rider along with motorcycle sport to strengthen the position of motorcycling in society: in the media, in governments and in the European Union, with a 5 – 10 year perspective to carry any strategy through, based on the needs of the FIM Europe national federations taking in consideration that FIM Europe are a part of a world of sports and politics. Like all “good” organisations, these aims to split out into a structure of committees or in FIM Europe’s case, into councils and commissions. FIM Europe having a Non-Sporting Council and various commissions within that council including a Public Affairs Commission, Touring Commission, Environment Commission, Marketing, Promotion & Industry Commission. In the past we have been in communication with the Public Affairs Commission of FIM Europe with regards to European motorcycle riders issues. FEMA (Federation of European Motorcyclists, Federation) and FIM Europe announced last year further collaboration between the organisations when formulating a response to an OECD-ITF report on the safety of powered two wheelers (OECD is the Organisation for Economic Cooperation and Development – which also hosts the International Transport Forum). We also had the opportunity to submit to the OECD-ITF draft report, assembling a motley crew for constructive responses and intelligent answers. However that was last November and there is still an awaited anticipation of the publishing of the report. At the recent European Motorcyclists’ Forum, FIM Director Jesper Christensen, (FIM was a sponsor of the European Motorcyclists’ Forum) emphasized the need for better training and licensing, when addressing European Parliament legislators. He drew attention to the fact that, “The present Driving Licence Directive has discriminatory effects on women and smaller men and asked that this issue be addressed.” He also asked for better infrastructure and standards for barriers that will take riders into account. Apparently FIM Europe has expanded from simply having an eye on road going riders’ rights to developing a symbiotic relationship with riders groups in Europe. This would appear to give riders in Europe a strengthened representation in the European Union in terms of legislation, policy formers and the Members of the European Parliament, the politicians. However it is not all so serious, apart from the news on racing from Speedway to Motocross to Enduro to Motoball and other championships on the FIM Europe website www.fim-europe.com there is a touring section. This includes a series of touring maps specially designed for motorcyclists, a map listing FIM Europe Hotels and European Moto Museums. There’s a lot more to FIM Europe than you may think including quite a lot of inclusion with riders issues. 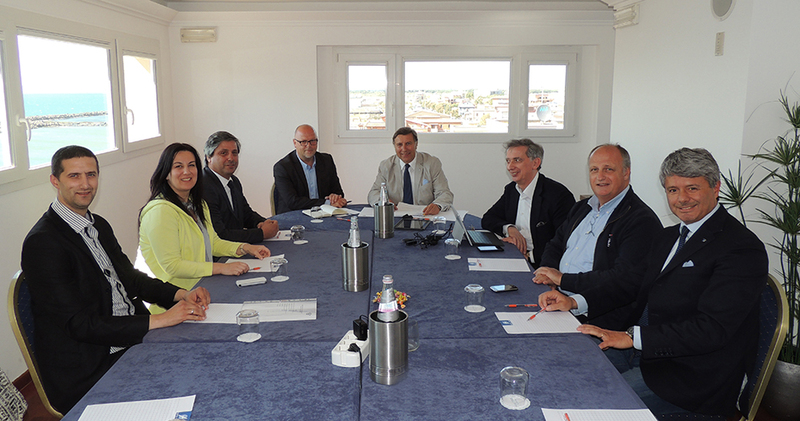 Today the FIM Europe Strategic Plan Working Group (SPWG) met for the first time in Tiber Hotel in Fiumicino (Italy). The group was formed in the last Executive Board in Assen, in March, with the aim of developing FIM Europe strategies for the next five/ten years. The Working Group is chaired by Mr Roy Wetterstad, NMF, and its members are Mr Jos Driessen, FMB, Mr Manuel Marinheiro, FMP, Mr Danijel Vastag, AMSS-MSS, Mrs Ingrida Visockiene, LMSF. To contribute to a well-defined description of the strategies currently adopted by FIM Europe, to all the meetings of SPWG will also be present the FIM Europe President, Dr. Wolfgang Srb, the Secretary General Mr Alessandro Sambuco and the Legal Consultant, the lawyer Rodolfo Romeo. After the opening of the meeting by Mr Roy Wetterstadt and the introduction by FIM Europe President, the presentation of Secretary General Mr Alessandro Sambuco followed, on the methodologies for the strategic plan process. The working plan and time schedule were discussed, and the tasks were assigned to each component of the Working Group. 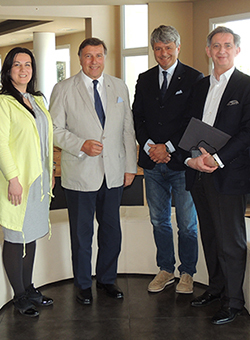 The next meeting has been fixed on the occasion of the FIM Europe Congress in Malta. “The first meeting of the Strategic Plan Working Group had as its main aim to discuss the mandate and define its goals and vision”, Mr Roy Wetterstadt stated. “It’s a very interesting challenge and a great possibility to influence the choices that FIM Europe makes for the future and I hope that we can challenge and start some important discussions about the future of motorcycling in Europe. The basic issue is how we do expand in a world of big competition among many sports and how we do promote interest in motorcycle sports and strengthen the position of motorcycling in the society: in the media, in governments , in the European Union. It’s interesting to see that everybody who was invited to participate to the Working Group has well accepted the appointment, which means that they all see it as a challenge and as a possibility to influence on the future of FIM Europe strategies and policies. We will stimulate national federations and other stakeholders to involve in the strategy process. Among the things we will consider, there are surveys and workshops. It is important that we base on facts in our analysis. Our strategy will have a 5 – 10 years perspective. We will base it on the needs of our national federations and take in consideration that we are a part of a world of sports and politics”. “I am very happy with the results of today”, said FIM Europe President Dr. Wolfgang Srb. 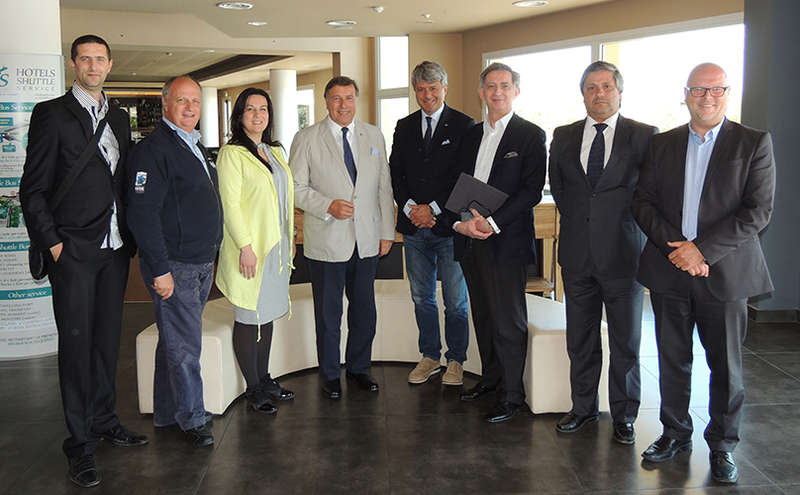 “An important process has started that will be for the benefit of the FIM Europe Federations. Strategic Planning has to be simple, clear and based on the real current situation. In no way it should be rushed. It simply has to serve the Federations and prepare their future in a competitive environment in the years to come”. The FIM Europe (in the past UEM, Union Europèenne de Motocyclisme) includes 47 National Federations (FMNs) and 6 Regional Motorcycling Associations and is a European organization acting within its attributions in all matters in relation with motorcycling activities and, as such, in domains ranging from sport, tourism, leisure, environment, mobility, road safety, legislative affairs, protection and defence of the rights and interests of motorcycle users. As far as motorcycle sport is concerned, the FIM Europe is the supreme and sole European authority empowered by the FIM to control European motorcycling sport activities organized under its jurisdiction throughout Europe. The aims of FIM Europe are to develop and promote all forms of motorcycling in Europe as well as the co-operation and friendship between its members, and notably: to examine all questions related to the development of motorcycling in Europe; to organize European Championships and to establish all competitions that appear beneficial subject to the prior approval of the FIM; to co-operate with the FIM in all matters relating to the organization of international events and motorcycling in general; to organize camps and seminars for riders, officials, coaches and administrators of various European FMNs; to support the creation and development of motorcycling activities in all European countries; to promote the co-operation among all European FMNs; to promote motorcycling among young people, both as sport and motorcycling in general; to encourage the use of motorcycles in European countries and to develop motorcycle tourism; to represent the interests of motorcyclists before European authorities; to promote in the media the sport of motorcycling and the use of motorcycles in all of Europe.